Our MEMBERS excel in delivering reliable broadband connectivity via fiber optic network routes throughout rural and metro communities across America. INDATEL is uniquely positioned to provide telecommunications services to many places other carriers cannot. Aurora Fiber Optic Networks, in conjunction with 702 Communications, provides the reliability of high-speed fiber optics and the convenience of home-town service. With secure connectivity ideal for hospitals, universities, government and financial institutions, Aurora’s networks span all of Minnesota with capabilities of reaching a majority of the United States — keeping information safe and secure as it travels our networks. Click here to learn more. At Aureon™, we provide the back office support you need through our full suite of business services, so you can get back to doing what you love. Our team of experts work with you to find the best fit for your business and achieve your goals, because your success is our success. Click here to learn more. ACT, a wholly owned subsidiary of Range Telephone Cooperative has been offering next generation services and high-quality bandwidth solutions throughout Wyoming and Montana since 1997. In addition to the advanced solutions we offers as a Competitive Local Exchange Carrier in Wyoming, the company has focused recent efforts on growing a regional network. Today the company’s 1,400-mile fiber-optic network spans the entire state with connections to state-wide networks. Click here to learn more. Bluebird Network is a Midwest regional telecommunications company. Bluebird serves Carrier and Enterprise customers in rural and urban communities by providing reliable, high bandwidth, carrier-class Internet and data services delivered over a state-of-the-art fiber optic network. Click here to learn more. CCT provides Ethernet services to the Colorado Telehealth Network project. Medical clinics, hospitals and other health-oriented entities in rural Colorado now enjoy the very high bandwidth and reliability associated with the services available on CCT’s ring network. Click here to learn more. C Spire provides a full suite of world-class, customer-inspired dedicated Internet, IP Voice, data, managed services, cloud services, value added resale and mobile communications to businesses and wireless, 1 Gigabit consumer Internet access and related home services for consumers. 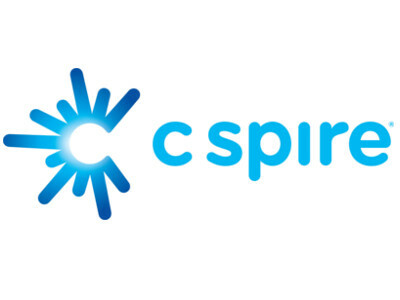 For more information about C Spire, visit www.cspire.com or follow us on Facebook at facebook.com/cspire or Twitter at twitter.com/cspire. North Dakota’s Fiber Optic Provider: Fast. Reliable. Innovative. Scalable. Every day, Dakota Carrier Network is dedicated to providing high-speed internet connections to businesses throughout North Dakota, and through its partnerships, across the United States. We’ve been delivering on our mission for nearly 20 years, and the best fiber optic provider in North Dakota – DCN – just keeps getting better. Click here to learn more. FirstLight is a leading provider of high speed data, Internet, data center, cloud and voice services to enterprise and carrier customers in New York, New Hampshire, Vermont, Massachusetts and Maine over the Company’s own fiber optic network. Click here to learn more. Hilliary Communications is an innovative provider of ultra-fast broadband, digital cable TV, and telephone services to residential and business customers across Oklahoma. The first chapter in our success story began in 1911 with Medicine Park Telephone Company, formed to provide telephone service to the Medicine Park resort community. Click here to learn more. Intelligent Fiber Network, LLC (IFN) has a long company history in providing state-of-the-art technology services to its Independent telephone company member/owners for over a decade having been formed in March of 2002. These services included: transport utilizing DWDM and SONET technologies deployed over 4,500 route miles of fiber optic cable across the state of Indiana; SS7; robust Internet; redundant fiber rings. Click here to learn more. Independents Fiber Network is a wholly owned subsidiary of CNI that was established in 2003 to better serve the voice, video and data services of its customers. We are an Ohio-based company that brings high-performance, high-capacity, Ethernet-over-fiber solutions to your doorstep. By operating a fiber-optic backhaul network dedicated to serving rural and underserved communities. Click here to learn more. At iRis, we’re enhancing our region with the most robust, reliable business communications solutions. Expanding our digital footprint across the region, through rural and mountainous terrain, we deliver the fiber-based, next-generation network and infrastructure businesses need. We’re bringing ultra-high-speed voice, data and Internet solutions to over 250 communities. Click here to learn more. KsFiberNet is the Kansas Fiber Optic Network We connect Kansans’ to the world around them As your local telecommunications service provider, KsFiberNet is committed to learning about you, your needs and your expectations. Getting to know you allows us to provide you with the highest-quality services and support. We invite you to learn more about us, as well. Click here to learn more. Whether you are looking for Ethernet, Wavelength, TDM/Sonet, or a Custom Connectivity Solution, we’ve got you covered with our extensive network coverage throughout Oklahoma, Arkansas, Missouri, and Kansas. Our interactive Network Map will help you visualize the role MBO Networks will play in your solution. Click here to learn more. NebraskaLink provides a state-of-the-art fiber optic network throughout the state of Nebraska. This infrastructure and investment allows for unequaled service to the business community where high reliability and dependability are key. We provide diverse, robust, and innovative technology solutions at competitive rates with an emphasis on provider class internet connectivity and multi-site architecture. Click here to learn more. PFN is dedicated to providing ultra-reliable Telecommunications, Transport and Broadband Services throughout the Upper Peninsula, Northern Lower Michigan and Northern Wisconsin. We provide a full range of Ethernet Private Line, High Volume Core Broadband (IP Transit) and TDM transport and voice services. Click here to learn more. RasorNET provides robust connectivity between major metropolitan areas and rural communities in and around the state of Arkansas. These strategic new transport routes are ideal because they: are more direct, have lower latency, are geographically diverse, and are built using the latest in fiber and switching technology. Click here to learn more. SDN Communications’ network of more than 30,000 miles of fiber connects the area’s leading businesses. With a 91 percent customer satisfaction rating (a record high for the industry), SDN’s state-of-the-art telecommunications services also come with unparalleled customer service and support. SDN is the biggest fiber-optic network in the region. Find out how to harness the power of SDN’s reliable network that stretches across the Midwest. Click here to learn more. Headquartered in Columbia, South Carolina, Spirit Communications provides voice, data, Internet and fiber optic solutions, along with a full suite of Cloud services to commercial businesses and government agencies across the Southeast. The company’s mission is to enable customers to transform their operations through fast, stable and secure offerings that flex with business demand. Ranked among the top 30 privately held firms in South Carolina. Click here to learn more. Syringa Networks is a privately held Idaho corporation and is headquartered in Boise, Idaho with additional offices in Idaho Falls, Pocatello, and Coeur d’Alene, Idaho and West Valley City, Utah. Syringa Networks was founded on a single guiding principle—to provide a world-class, high performance communications infrastructure that will create growth and opportunity for our customers and their communities. Click here to learn more. TLSN is a consortium of 41 Rural Telecommunications Carriers in Texas. Our Member Owners have been providing quality services to rural Texas customers for 50 to 100 years. TLSN was established in 1998 to coordinate the completion of the Member owned statewide fiber optic network. Click here to learn more. When you go with Vast as your reliable, unrivaled provider, you’re getting a dedicated network that will never slow you down. Check out more reasons to choose Vast over other networks. Click here to learn more. The Valley Network Partnership, d.b.a. ValleyNet, is a provider of fiber transport capacity along fiber routes in Pennsylvania, Virginia, West Virginia, Tennessee, North Carolina, and Florida. The Valley Network Partnership if operated by Local Exchange Carriers (LECs) whose service territories fall along the route. Those carriers originally joined forces for the purpose of providing traditional TDM circuits to Inter-exchange Long Distance Carriers (DS-1s and DS-3s). Click here to learn more. Vision Net delivers innovative and reliable business technology solutions that enable our customers to access information vital to the future economic and educational development of our region. We have demonstrated technology innovation and leadership in Montana since our inception. Click here to learn more. Western Independent Networks, Inc. offers a state-of-the-art transport network throughout Oregon and the greater Northwestern region. We provide best-in-class connectivity services and can customize a solution from our list of core products to meet your needs. Click here to learn more. WFN transport options are diverse and state-of-the art. To get your own network this complete, you’d have to own 5 networks. It’s because the Western FiberNet network is owned by 5 independent Utah Telecommunications providers. WFN is a combination of telecom transport networks that offer connectivity to Utah’s most congested and fastest growing regions as well as many rural areas. Click here to learn more. WIN can protect, store, and transport your data so it’s safe, secure and always available. Our commitment is that we’ll value your data like you value your data. Whether your critical functions require public cloud or private cloud engineering, or a hybrid cloud configuration, we can build and store data to your specifications. Click here to learn more. For over 100 years WITA has been a leading advocate for the telecommunications industry in Washington State. Our association is dedicated to providing a forum for members to share industry trends and new technologies, educate legislators and regulators, provide training opportunities for member companies, and connect vendors with members in an effort to build state of the art networks across Washington. Click here to learn more.